Online file sharing has been around for a long time, with its successor being cloud storage. Most of us probably use various apps or cloud-based services to share our data with our friends and family. Sadly though, anyone with the shareable link might be able to access your data. This causes a breach of privacy. 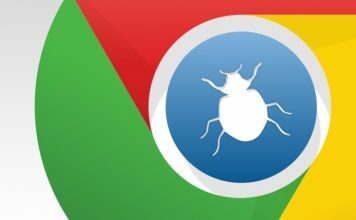 While there are many web based services out there for secure file sharing, most of them aren’t really secure, nor do they come cheap. It is this situation that inspired Mozilla to develop Firefox Send, with which you can securely and easily transmit your files with whichever person you intend to. And best of all, it’s completely free. 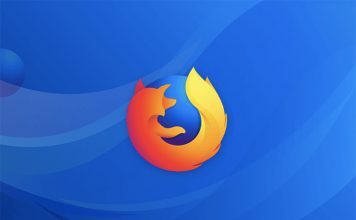 So if you’re wondering what exactly is Firefox Send and how to use it to transfer data, read on as we’ve got you covered. 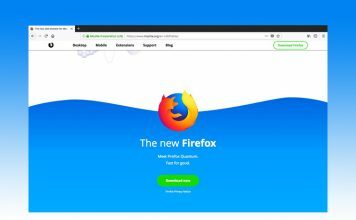 Send is a free file sharing service launched by Mozilla under its Firefox Test Pilot project, which is mostly a bunch of experimental features for Firefox. 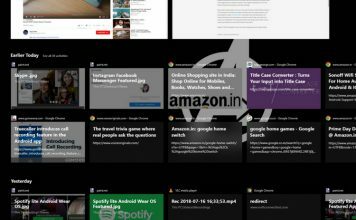 While the majority of applications under the Test Pilot project are essentially plugins for the main Firefox browser, Send is a standalone service, that can be accessed via any browser. It works on a web interface and allows the user to easily upload any file to Mozilla’s servers and then download it to the other device with the help of a shareable link. 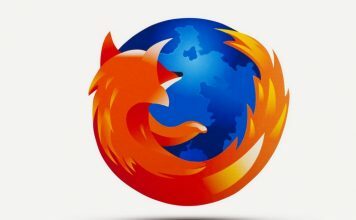 What’s more is that Mozilla offers great privacy due to the encryption of the data being transmitted. Now that you know what Firefox Send is, let us discuss how to use it. First of all, go to the Firefox Send portal here from your browser. 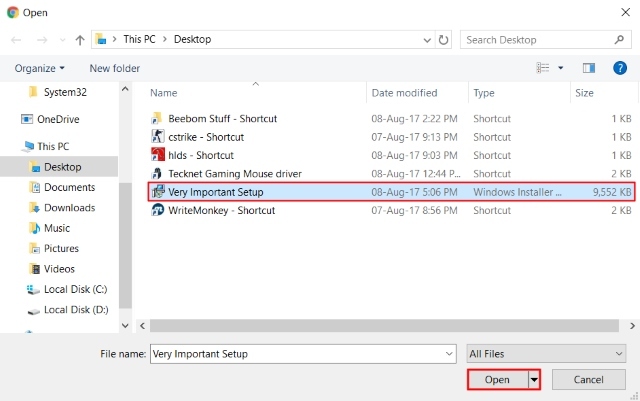 Next up, click on the “Select a file on your computer” to open the browsing window. Select the file that you wish to upload and click on “Open” to start the uploading process. 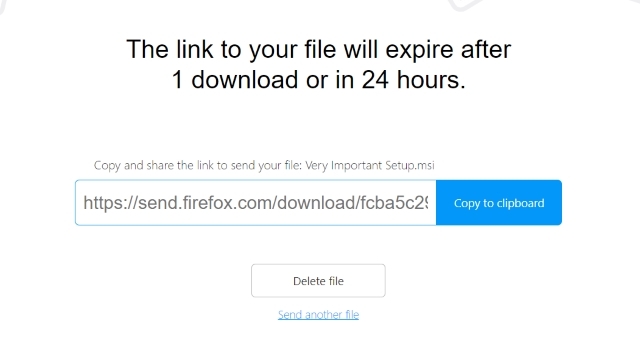 Firefox Send will now start uploading the file to its servers. Sit back and wait till your file is uploaded. Once the uploading process has been completed, you’ll be presented with a screen similar to the one shown below. Copy the shareable URL and send it to the person you wish to share the file with. Alternatively, if you wish to delete the file without anyone downloading it, simply click on the “Delete file” option. Enter the shareable URL into your browser window. Once you enter the URL, you’ll be presented with a screen that shows you information about the file. Click on the “Download” button to begin downloading the file. 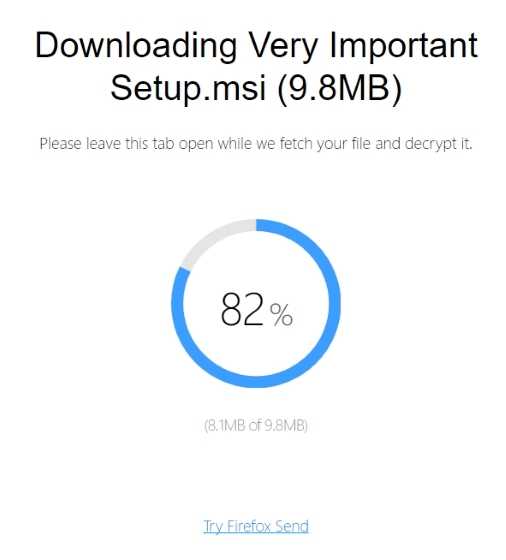 Upon clicking the “Download” button, Firefox Send will first decrypt the data file and then download it to your system. Once the progress bar is completed, you might get a confirmation box regarding the file depending upon your browser. Simply confirm it to complete the download. And that’s it. Your file has been completely downloaded. 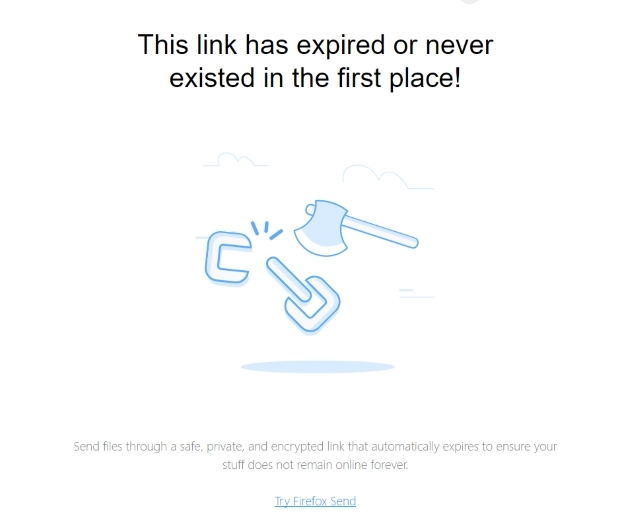 If you try re-entering the URL in the browser, you’ll notice that the link would have been expired, that is, deleted from Mozilla’s servers. 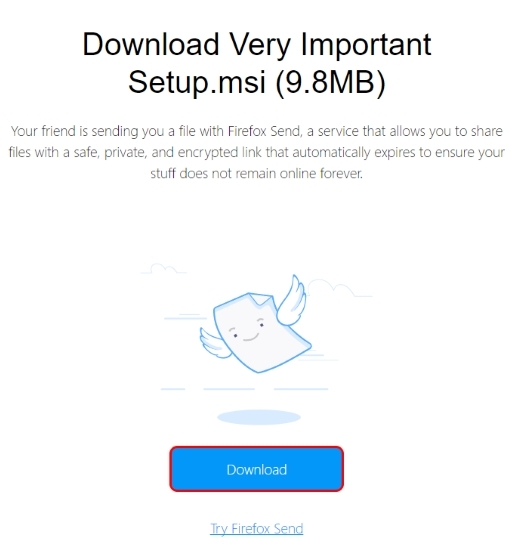 Unlike most file sharing services out there, Firefox Send relies on making sure that the file has been accessed by the person it was destined for, and no one else. Essentially, files uploaded on Firefox Send will automatically be deleted once they’ve been downloaded. Furthermore, the Send service will also delete the file after 24 hours, even if it hasn’t been downloaded. Additionally, the uploader also has the right to delete the uploaded data. As far as encryption is concerned, most web services offer encryption on their server side only. Firefox Send, on the other hand, encrypts the files during transmission. Additionally, Firefox Send encrypts files on the client side as well, so that not even Mozilla can read them. The shareable URL of the uploaded file itself contains the necessary encryption key to decrypt the file. Firefox Send is undoubtedly one of the most secure means of transferring data files from one system to another. While it may not be useful for people who want to share it with the masses, people wanting to share it with just one person, especially business users, might find this handy. Tell us what you think of Firefox Send and whether you’ll be using it or not in the comments section below.